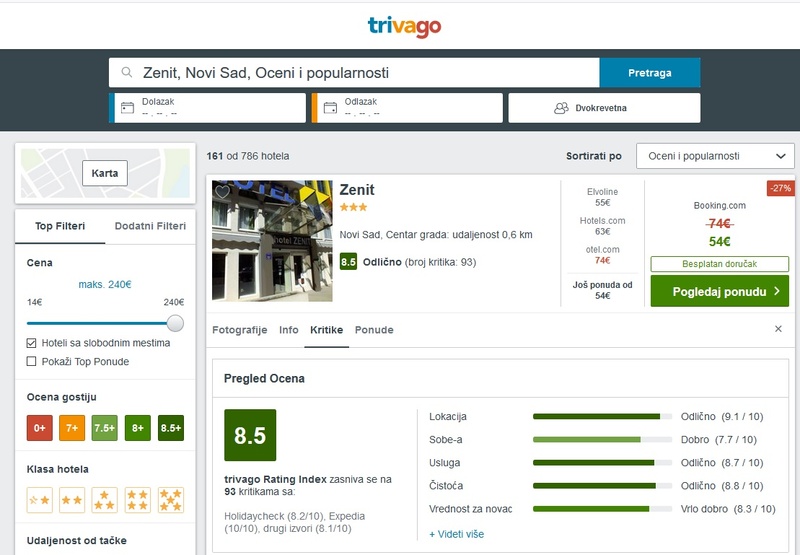 in Novi Sad and Hotel Zenit with highest marks at all specialized hotel internet portals. 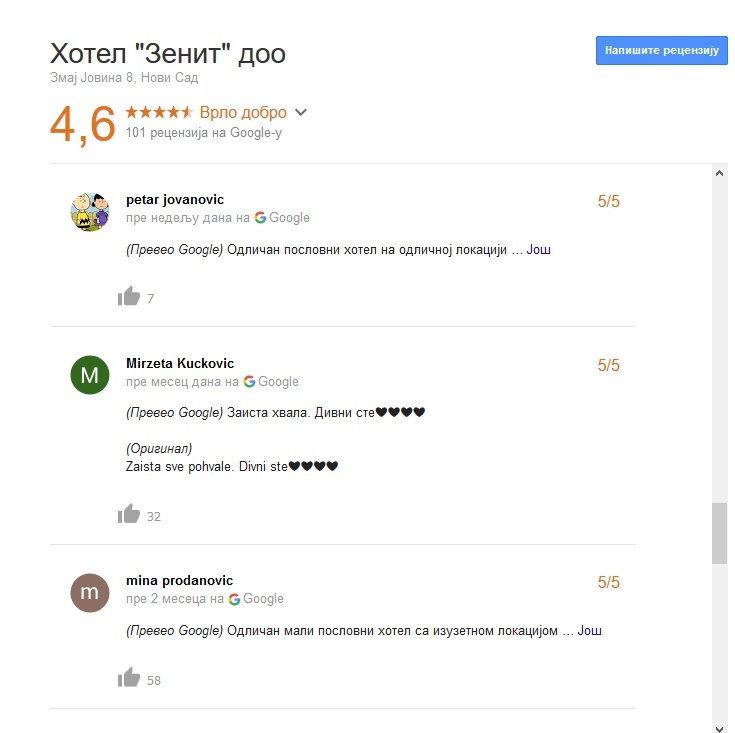 In 2018., Hotel Zenit is by our users on Google’s review rated more than 30 times with the maximum score of 5.
and 8 ratings is over mark 9.
which places us in a group of hotels with the highest rating in Novi Sad. 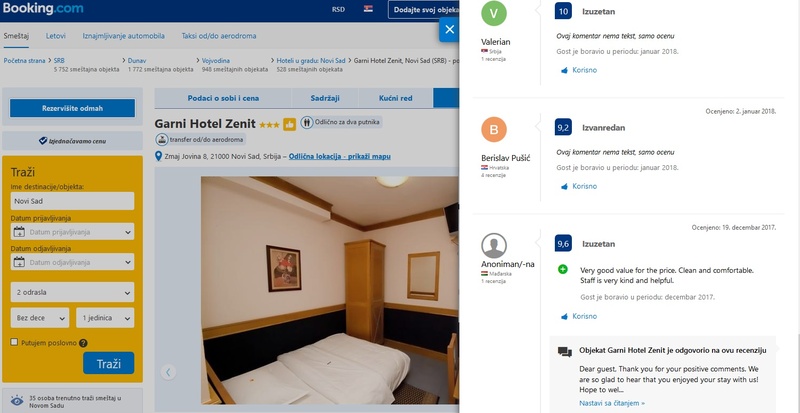 Hotel Zenit is EXCELLENT because the complete experience of Novi Sad starts from our hotel. Everything in one place. All of Novi Sad from one point. 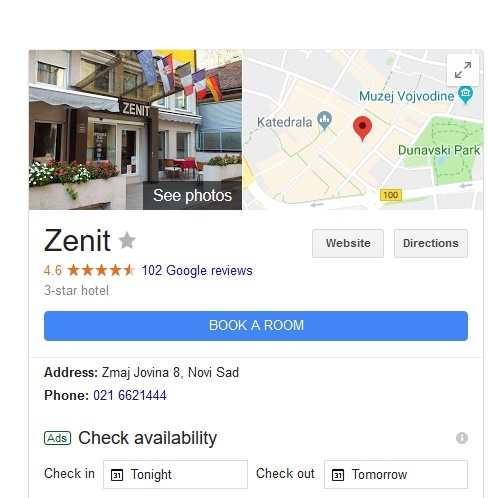 Welcome to Hotel Zenit Novi Sad.